Veteran game designer Pascal Luban recently published his Game Design Toolbox, an app dedicated to provide concrete game design tutorials based on Pascal’s own experience. 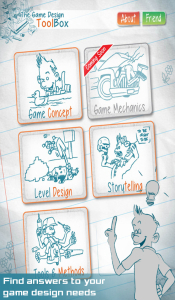 The concept behind the app is to provide concrete and easy-to-use tutorials on game design. Written by a professional game designer, these tutorials are designed to provide all the information a game designer might need on a specific issue and they include samples from real game design documents. Tutorials are grouped in five categories that cover all the topics a game designer must be familiar with: game concept, game mechanics, level design, storytelling and tools. 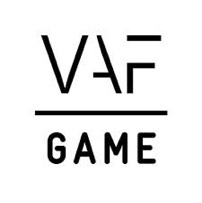 Each category includes up to six highly specific tutorials such as: how to pitch a game, how to monetize a game, designing a user interface or outsourcing work. 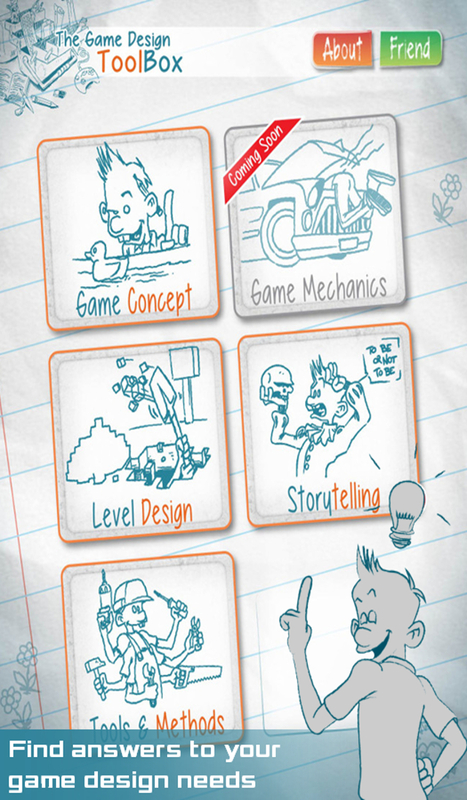 The app is published by Pascal Luban, a game industry veteran that lives in France. He has worked for major studios and publishers like Ubisoft, Activision, Sony or Atari. Pascal Luban was the lead level designer (amongst others) on the renowned multiplayer versions of Splinter Cell – Pandora Tomorrow and Splinter Cell – Chaos Theory. Check out the presentation video or download the app from the iOS or Android app stores.